OMO..such a good news for a Doolier like me...awesome and i'm so happy and excited and can't wait for it anymore, LOL...to see my favorite couple in a fan meeting since YAB ended has been an ardent wish of mine and thank GOD its finally here.. There is no english in those website... do you have any guideline for foreigners? I Wish I Could go, I Wish Someone Will Pick Me Up, So I Can Go!! I Am So Envy To Those Who Will Attend!! why the very short notice? what about us overseas fans? lots of things to do before we can even book for tickets, flights, visa etc... i wanna go... wanna see Shin Hye and Yong Hwa! Wow! I am so happy that they will be attending the fan meeting together. I hope that there will be a video of the event with English subs shortly thereafter! 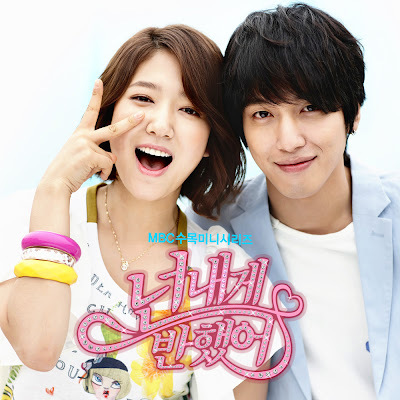 I am watching Heartstrings AGAIN...love Park Shin Hye and Jung Yong Hwa together. True friendship like that is priceless. They seem so "right" for each other...so comfortable together. To PSHIFC-thank you so much for all that you do. Sharing the latest news with us allows us all to feel a little bit closer to Park Shin Hye, someone we admire and respect. Hello! Does anyone know how foreign fans can purchase tickets to the event? I checked out the Get Ticket and Disk Garage links but steps are all in Japanese :( Would anyone know if there are fan clubs that are helping foreign fans get tickets? You need a Japanese address to register on the ticket site. Thanks for replying mee :) Would you know how foreign fans can purchase tickets to the event? Will you be going? Whenever PSH and JYH are together, it's like a happy virus is infected in everyone. They are so much fun to watch. Eagerly awaiting the recording of the FM with English subbing. Perfect couple. Perfect match. So talented. Oh.... Thats very cool and i hope that they will both continue to make some new drama's. It would be nice if Park Shin Hye will have a drama with Kim Hyun Joong or Lee Min Ho. Wow..finally my wish of a HS FM is here.Thank you to those who made this possible..i really miss YH and Shinhye since its always a joy and fun to watch their interactions..they always make me smile..Indeed, Perfect match, both talented, passionate with their craft and well grounded.. Looking forward to the FM in Japan. I am sure we will be watching and talking about it for ever. One never gets tired of them together. How can these two be so adorable and entertaining. Hope it's such a great success that either we have a season 2 of heart strings or they are cast together in another project. Wishing them all the best. Perfect pair that one can imagine.